Important ! 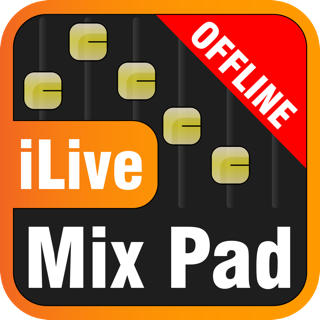 This version of MixPad is for iLive running firmware V1.9 and is not compatible with iLive V1.8 or earlier firmware. 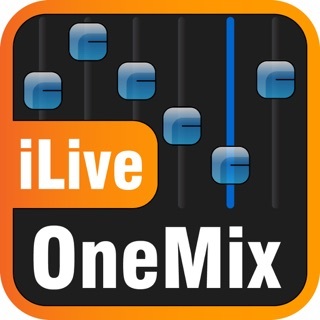 Make sure the iLive you want to connect to is running V1.9 firmware before you update or use this app. 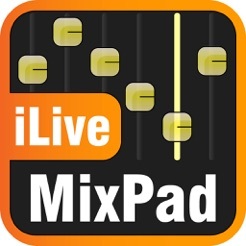 iLive MixPad new features release V1.90 for iPad. 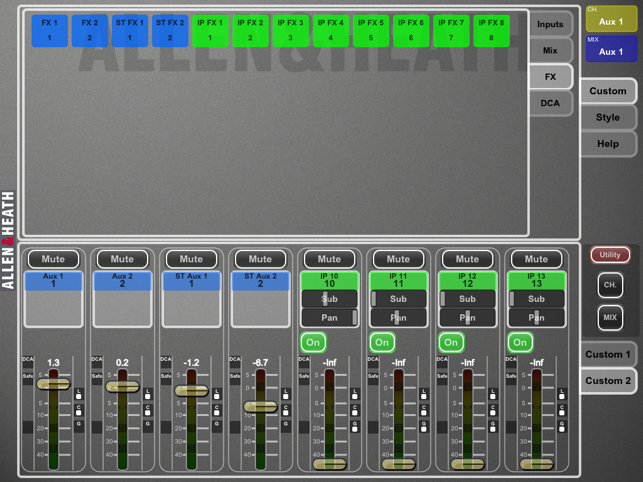 MixPad is an engineer’s mixing tool providing wireless mobile control for the Allen & Heath iLive digital live sound mixing system. It is the perfect companion to the iLive Surface or Editor, giving you the freedom to walk the room or stage and control the sound right where it is needed. - Dual-Rack (will not see the Slave channels). 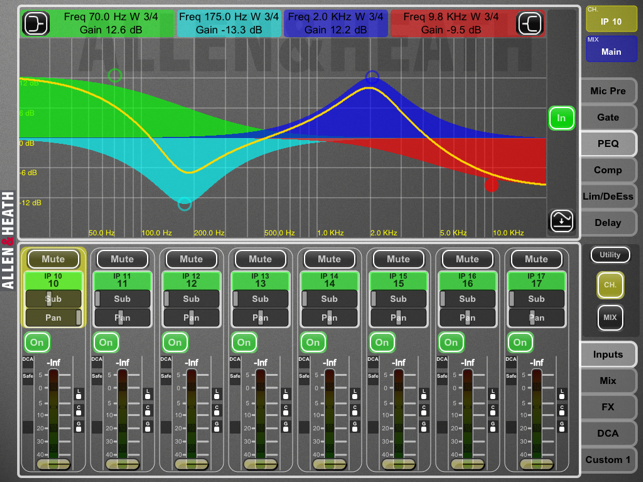 - Modular iLive Surface preamp control (will control Trim but not Gain). 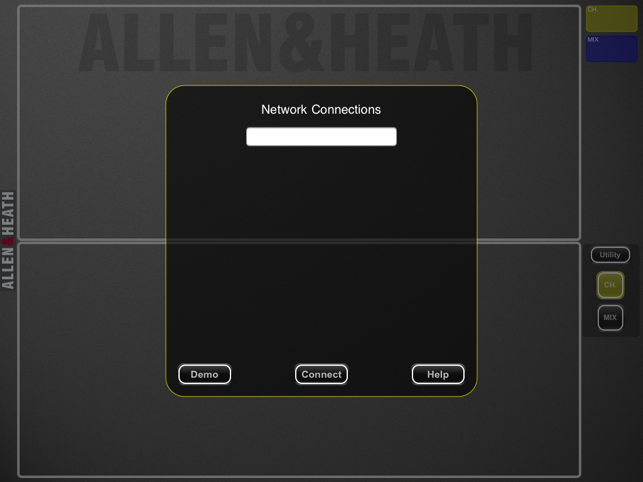 An iLive system running a version of V1.9 firmware, with a good wireless router (wireless access point) connected to one of its NETWORK ports. 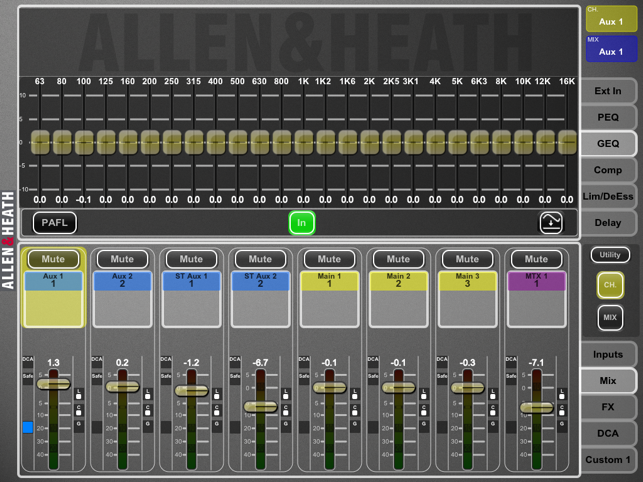 Refer to the Allen & Heath web site for more information. Please update this app for iOS 10 because it started losing connection once I upgraded. Also very complicated to use in real situation. 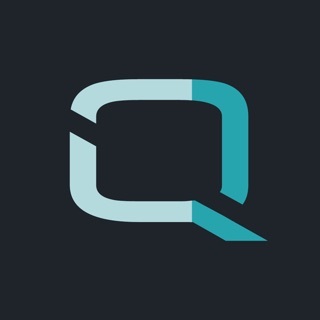 Please make it like the one for the QU series. Lemme start by saying the iLive is the Best digital board I have every used. I love it. This app. Well it leaves a lot to be desired. 1. The user interface is not intuitive at all. 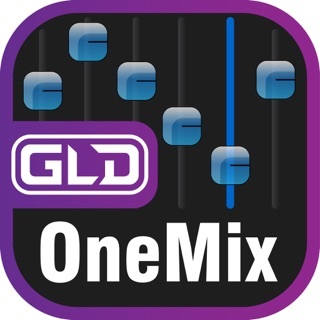 This is the worst mixing app I have ever used. 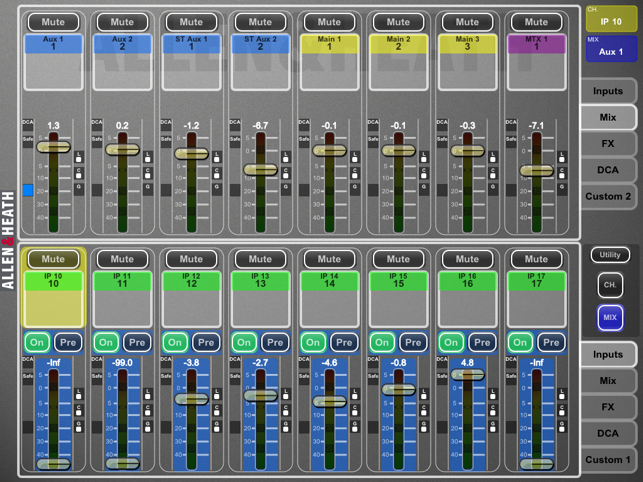 Look at the presonus app to see what a digital interface should look like. Especially how it changes when changing orientations. 2. There needs to be a way to save credentials and have the app automatically connect when I open it. 3. The app needs to remember the last view you were in. 4. The app needs to automatically reconnect if the wifi drops. Having to close the app and reopen it and log back in is too time consuming and ridiculous. Networks drop at times, especially wifi. We need to automatically reconnect. If number 2 was done this should be easier. 5. The app lacks the ability to adjust effects. That is just plain dumb. Why can't I walk in an audience and actually adjust what the effects sound like? This is a must have feature. 6. The app lacks the ability to do scene recall. Seriously, a digital board in this range with no scene recall. Note. The surface allows for scene recall. The app does not. That's all I can think of for now. I really hope AH fixes this. There are some other areas that the surface could be improved as well. AH please feel free to contact me to give you some real world expectations. This will likely be my last Allen Heath purchase due to the lack of response in fixing this. This was the flagship digital board when I purchased it. I was promised that these issues would be addressed. Now it is discontinued and I doubt any work will be done on it. I am so disgusted that this will likely be the last AH purchase or recommendation I ever make. So sad that a company ignores its once very loyal customers. 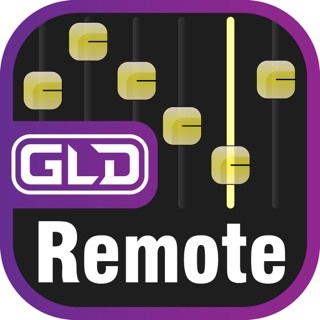 This app has the potential to be one of the most useful tools developed for live sound events. I took it out last weekend without the iLive surface (only a laptop, mixrack and iPad) to an outdoor drama with lots of wireless body packs. The FOH had to be in a cabin behind the actors inside the fort. I setup the mixrack and laptop in the cabin and took the iPad outside in the audience and mixed where I could actually see and hear the actors. It worked beautifully...at first. The app is amazing as far as control and we had to do very little on the laptop itself. However, about 45 minutes into the first act, the app said "app out of memory" and shut down. It did fire right back up (after rebooting for about three minutes) and worked nearly flawlessly after that. All in all I think it is a very good and well thought out app that just has a few minor glitches. I hope the developers will fix those in an update soon. I am going to try it again at a large Christian Youth event again this weekend....we'll see how it goes!